Do you have battery back-up for your home fibre broadband: Is it worthwhile? 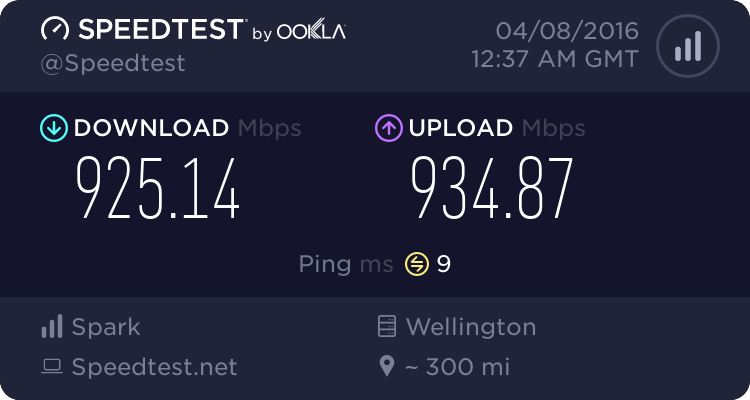 Forums › New Zealand Broadband › Do you have battery back-up for your home fibre broadband: Is it worthwhile? I wondered whether many of you have invested in a battery back-up system for your home fibre broadband to cover the event of sudden power loss, is it worthwhile? There is one system called “Fuelcube” that costs $382.60 plus GST that is referred to on Spark’s site and the specifications say that it provides a back-up runtime of 4 hours typical at 1 A. This seems quite expensive to me, but in the event of a power outage, at least your landline phone should stay up and running for 4 hours or so (but I suppose most people would just switch to their mobile phones, assuming of course that the power outage hasn’t knocked out the cell towers)? As to your fibre broadband, I guess it could be useful in a power cut to have continuous availability for 4 hours during a local power cut and I suppose you can continue to watch your internet broadcast sports etc on a tablet or mobile phone during the power cut? Has anyone used “Fuelcube” and does it work as expected? Are there any other satisfactory cheaper options to “Fuelcube”? I haven't bothered as we all have mobiles. I do have a couple of 12vdc to 230vac inverters in my work vehicle that could be used if really desperate. I haven't bother, we don't even have a landline in the house. Mobile is our backup. I have mine on a UPS, because of reasons the ONT couldnt go where the server stuff is so for now I have a cheap one in an ugly old cupboard for the ONT and unifi gateway, and one of the unifi AP's so even if the big UPS runs out that one should still hold up for a while longer since it runs so little. Dont have any fixed voice at all, that is all done on mobiles that I don't really even pay attention to the number that they have in them. the bonus with constant vigil is you can choose your battery size. Thanks for that, their prices for the "Sentry Lite" models of $107 plus GST and $174 plus GST are a lot better than the "Fuelcube" of $382.60 plus GST. I wonder why the "Fuelcube" model is so much dearer, perhaps it's simply a lot better? And the above web site mentions with regard to "Sentry Lite" that: "Tim from Geekzone said: "I'll definitely be buying a unit of my own", so there you are, what more could you want? I picked up a UPS to run my home gear and the ONT included. There are plenty of them on Trademe normally with a battery that needs to be replaced. It gives me 4 hours of batter and only needed it once when we had a power cut. If you have a home server or NAS then it might be worth it. Otherwise I wouldn't bother. Thanks for that, their prices for the "Sentry Lite" models of $107 plus GST and $174 plus GST are a lot better than the "Fuelcube" of $382.60 plus GST. I wonder why the Fuelcube" model is so much dearer, perhaps it's simply a lot better? That's me. I did buy my own unit. It works well. I pretty much forget it's there. I also reviewed their unit with the integrated battery, which would be better for grandma's and such, looks nicer, but has much smaller battery capacity. I would buy the one where you connect your own battery. I have it connected to a 7AH SLA battery, and I have another 7AH SLA battery beside it that I charge from time to time. The logic is the 7AH battery runs out in about 6 hours, it might fail when I'm not home. I also have three 30AH batteries and a moderate size solar panel out in the shed, so in an emergency I can charge one battery while the other's in use. Batteries wear out. You might get 5 years out of them. My 30AH battery's capacity is down to about 15AH according to my experiments and calculations (which were quite fiddly to do using a constant current drain to a set voltage, but that's fine for emergency use. I'll probably replace the 30AH batteries with two new ones at some point. Fuel cube has an inverter to supply the AC current. That's also quite an inefficiency. It's better to stick to dc-dc for UPS where possible. Also Ultra modem? that's the HG630..
We've had Constant Vigil for a couple of years, because someone important insisted that we still have a "landline" when the power goes out (we all have mobiles...). And an old phone, somewhere, that we could plug in. It's never been tested (thanks, Vector), and just provides POM. So I can't say it works well, but I bet it will. I suppose this raises the question of how "old" corded landline phones compare with mobile phones when there is a power outage? If you have fibre broadband and your landline phone is connected to fibre (which is usually the case) then unless you have battery back-up, in the event of a power cut, your landline phone will go down. Before fibre broadband, when the power went out, you could usually still make calls using your corded landline phone, which was often quite a useful thing to have. I have the impression that, during a power cut, if you can use a corded landline phone, then this is likely to be more reliable than using a mobile phone, but this may not be correct? IME when there is a power outage of any reasonable area, the mobile network gets hammered with people using their data to facebook and other stuff instead of their home internet. Not sure how that impacts voice calls since I try to avoid that product, but last time all of beach haven and birkdale went out, I couldnt even stream spotify properly on mobile. As per wellygarys comments upconverting to 230Vac does not seem a sensible approach, probably more flexible in that you use standard vendor provided wall warts to power your devices, but in reality for most domestic kit including the ONT and most routers just need a 5V or 12V DC feed as they have onboard regulators, the constant vigil seems a much better and efficient solution. As for me, I have an old UPS on the job, simply because I had a bunch of them and it was cheaper for me to get a fresh battery and push it into service than get a solution like the contant vigil. My UPS powers the ONT, Mikrotik, and a couple of UniFi WAPs, last power outage was a about 1hr45, everything kept going (except the desktop) so no complaints.